We know how daunting it can be to reach out and seek help. Not knowing where to start or who to turn to can also feel overwhelming. Because of this, we are dedicated to making the process easy, providing you with the tools you need to make an informed decision about your next step. If you are worried that you might hurt yourself or someone else, it's important to know you are not alone. There are plenty of organisations available to support you and help you get through this. If you feel you are in immediate danger of taking your own life, call 999 or go to your nearest Accident and Emergency (A&E) department. Medical staff here are trained to help. If you can, call your doctor’s surgery and speak to your GP about how you're feeling. You can call the Samaritans for free on 116 123 now to talk to someone (they are available 24/7). The person on the other end of the line doesn't know who you are; they won't judge you or tell any of your friends or family about how you feel. They are simply there to listen to anything you have to say, at any time. You can also email them, write a letter or send them an SMS text if you don't feel comfortable speaking on the phone. If you don't feel in immediate danger of harming yourself, but are having thoughts about suicide, you may find it useful to read our page on suicidal thoughts. Here we look at coping mechanisms and how talk therapy can help. Just by being here and reading this, you are taking a hugely positive step in the right direction. The first step to change is to acknowledge that you’re ready to seek help. If you're not ready yet, that's OK too. Be kind to yourself and know that we'll be here whenever you are. If you are ready for change, knowledge is power. Having access to the right information is key. There is a lot of conflicting information available online, and this in itself can cause confusion and anxiety. Here at Counselling Directory we have a dedicated team to ensure we provide accurate, up-to-date information. 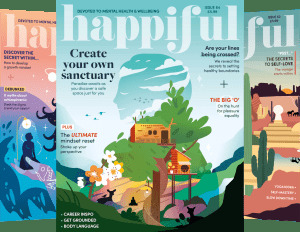 Lots of our counsellors provide insight and advice too, you can find this in our Expert articles section. Read as much or as little information that feels right for you. Our What's worrying you? section contains some of the most common reasons for seeking help. For many of us, just realising that what we're going through is a shared human experience is a relief. It can also be useful to identify what's worrying you so that if you do decide to try counselling, you can ensure the counsellor you see is experienced in this area. It's certainly not necessary to know this before having counselling though, as your counsellor will help to guide you in the right direction. If you're not sure one-to-one counselling is right for you, you can still seek support here. 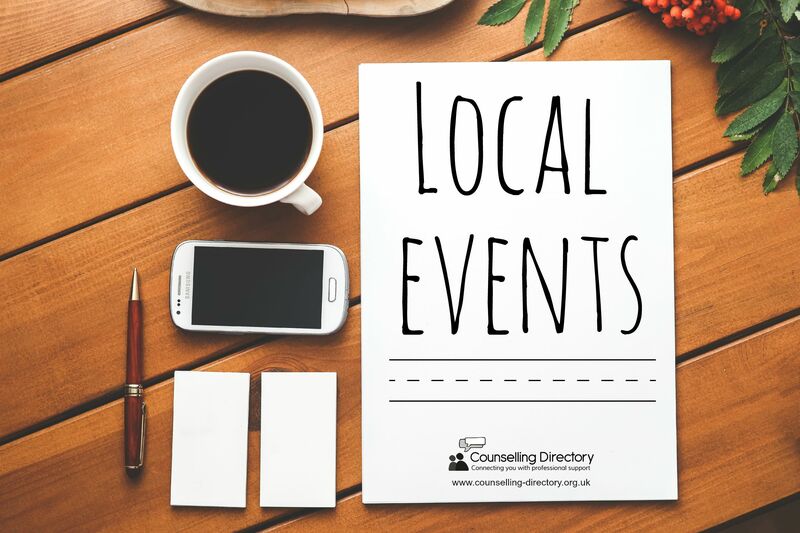 Our Local events section lists workshops, talks and support groups covering a wide range of subjects, from stress and anxiety to art therapy and general well-being. Our Facts & figures section highlights just how common mental health issues are, providing reassurance that you are definitely not alone - did you know one in four people will experience a mental health condition during their lifetime? To read how other people have found the counselling process, visit the Your stories section. Here you'll find honest, personal experiences from people who have had counselling to help them get through something difficult. Trust yourself and if you feel overwhelmed while reading the information, you may need a break to digest everything. You may find the information provided offers a sense of relief. Or you may find that you'd like to contact a counsellor to continue your journey. There are times in life when all of us need support. Often we can get this by talking to our partner, family or friends about what's worrying us. In some cases though, it is beneficial to speak to an expert - someone who is trained to help, like a counsellor or psychotherapist. Talk therapy has proven incredibly helpful for a range of concerns, with the National Institute for Health and Care Excellence recommending various forms for most mental health conditions. Even if you don't identify as having a mental health condition, talking to someone objective about your worries can help you cope with everyday stresses. In 2016 Time to Change surveyed over 7,000 people living with mental health issues. Of those 7,000 over half said they find it easier now to talk about their mental distress than ever before. 60% also said they felt as if a "weight had been lifted" once they opened up and talked about their condition. “My therapist has given me that safe place to feel able to share and work through some very difficult problems that used to govern my life. She is a brilliant counsellor and shows a great amount of empathy and support which enables me to reflect on these problems. If you want to learn more about what counselling involves and how it could help you, we recommend visiting our FAQs section and What is counselling? page. There are several different types of professionals who help with mental health, and understanding what each of them do can get confusing. On our Understanding the difference between a psychiatrist, psychologist, psychotherapist and counsellor page, we explain all of this without any medical jargon. To find out what types of talk therapy are available, and which may be best suited to your situation, take a look at our Types of therapy page. Again, here we'll look at some commonly used therapies and explain how they work in easy to understand language. Once you have learnt more about the process and how talk therapy may help, you may feel ready to search for a counsellor in your area. If you have any questions about this part of your journey, please feel free to contact us - we are here to help. If you are worried that someone you love is going through something difficult, it can be hard to know what to do. There are several things you can do to help, from asking a simple question like "how are you doing?" to emailing them a link to one of our information pages. To find out more about how you can support a friend or family member, read our Worried about someone else? page.